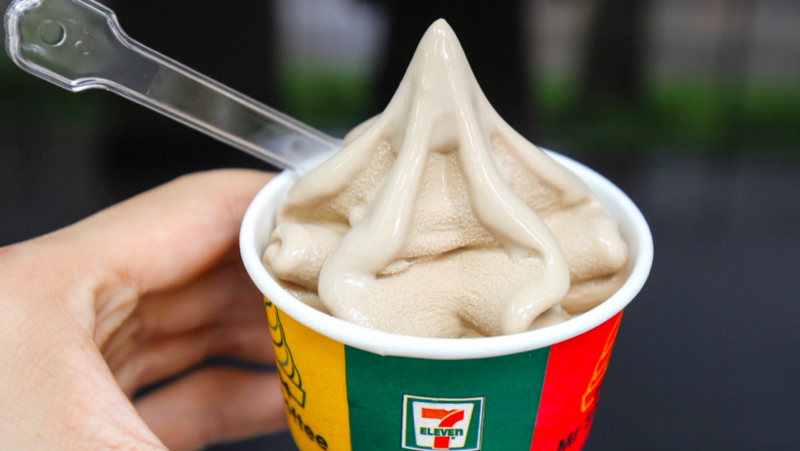 7-11 used to be a snack wonderland, with microwaveable sandwiches and pastas, instant noodle prep stations, Craze Hottis, Maggi mashed potatoes, and the OG soft serve of Singapore, Mr Softee. Mr Softee was THE DESSERT of my childhood. But like the Avatar, it disappeared when I (and the rest of Singapore) needed it most. However, it wouldn’t be gone for too long, because now it’s BACK! 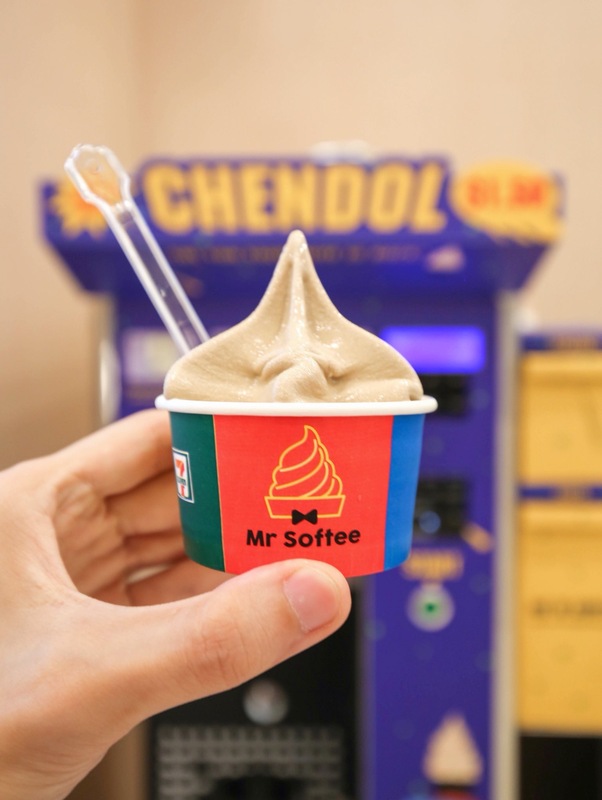 Mr Softee made a quiet return to Singapore, with a nifty soft serve machine sitting in a 7-11 outlet at Bencoolen, near Ibis Hotel, churning cups of Chendol-flavoured Mr Softee soft serves. However this isn’t the first sighting we’ve had of Mr Softee since its sudden disappearance in the late 2000s. 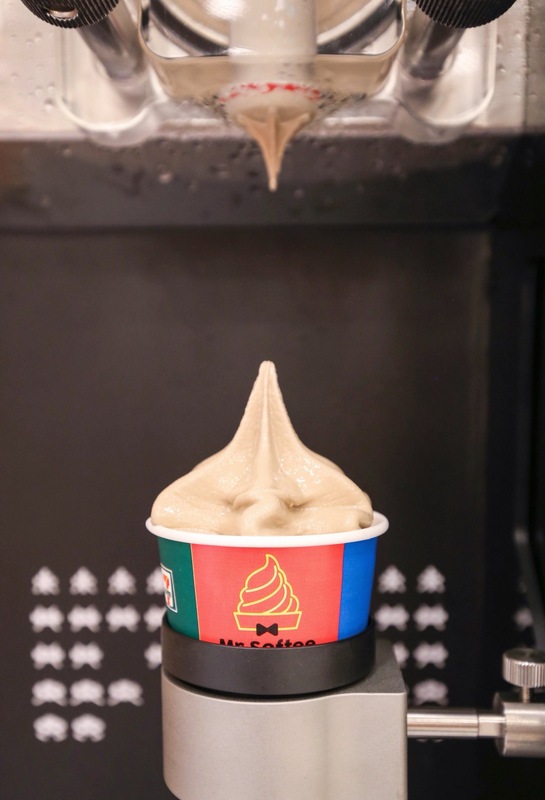 Back in January this year, people found that the Vanilla Mr Softee was available in selected 7-11 outlets across the island. 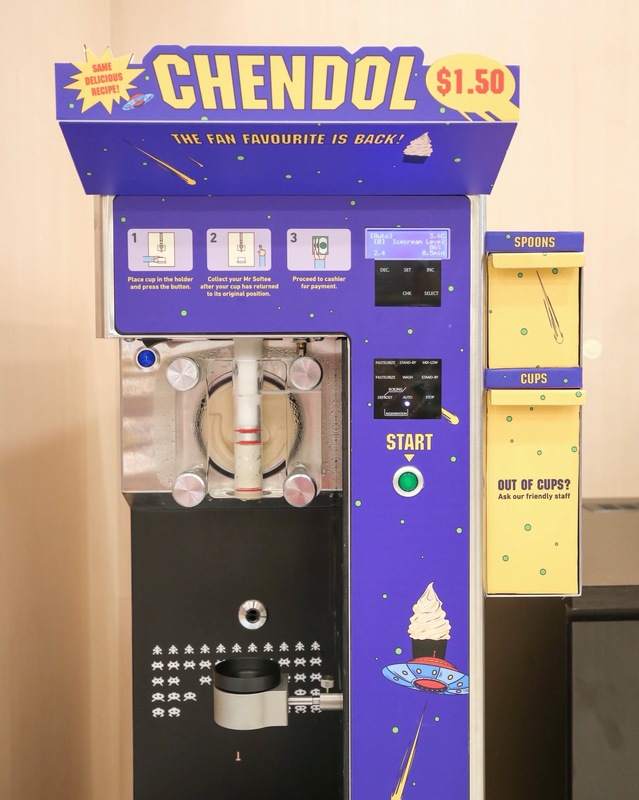 Now this one only sells the local favourite, Chendol-flavoured soft serve at just $1.50 a cup. Though to be honest, it looks like it shrunk in the wash.
Like excuse me? Your price didn’t increase, good for you. But the serving size really dipped. But I guess, no price increase is better than nothing. So I shall refrain from complaining too much. 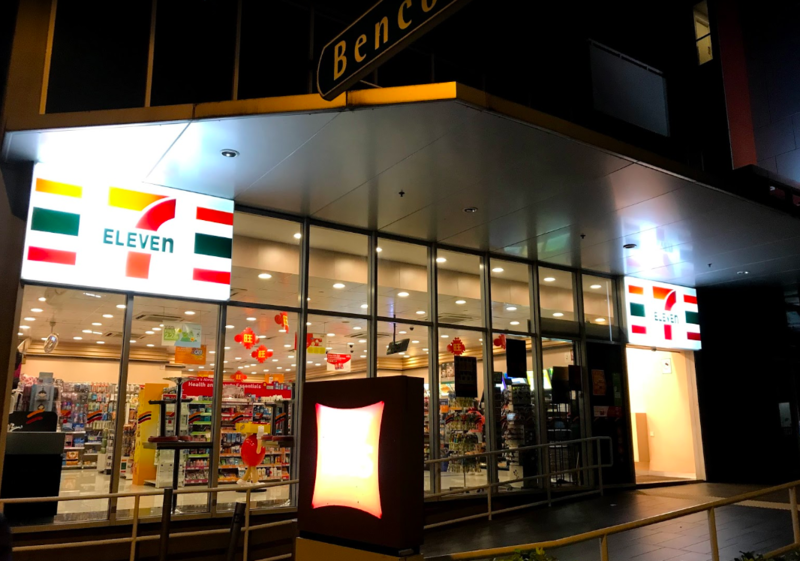 7-Eleven has made a very special announcement regarding their fan-favourite ice-cream. 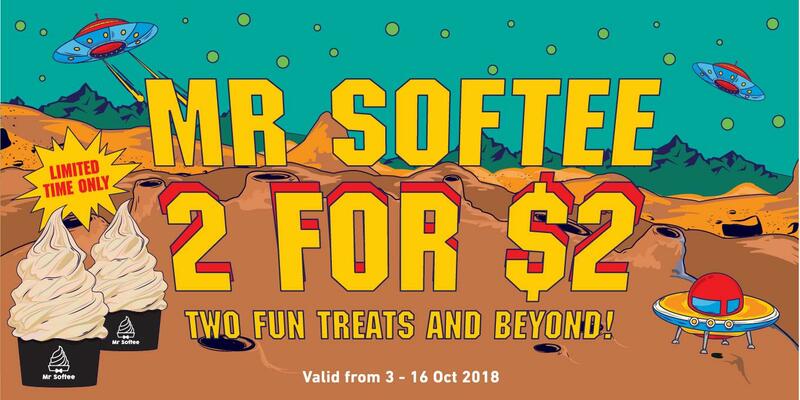 From 3 – 16 October, Mr Softee’s cendol ice-cream will be going at 2 for $2 only! So grab a dessert buddy and eat to your heart’s content, or eat both if that’s how you roll. 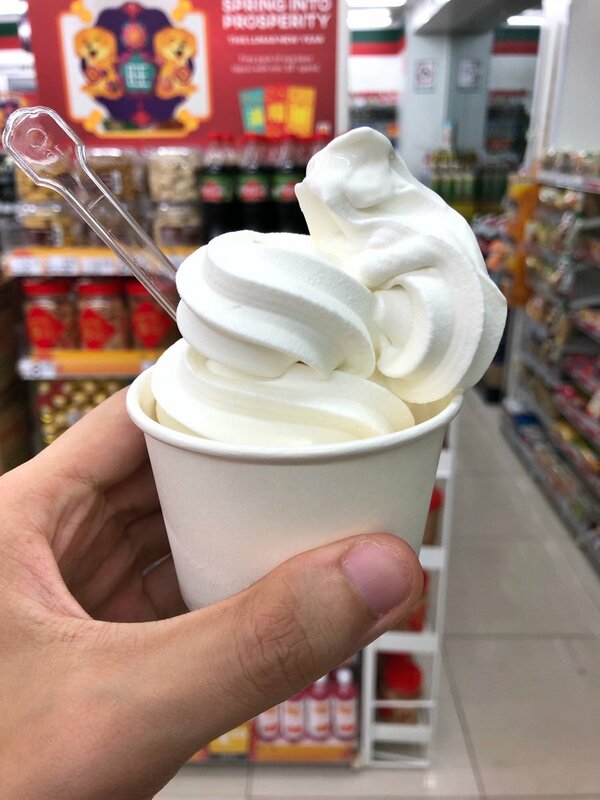 While the weather these days is more suited to hot pot dinners and warm comforting soups, I will brave the rain and the subsequent shivers for Mr Softee. I will not forsake him like he did to all Singaporeans. Good things must share. And share we did. Don’t say we neh say.